"Look, look, it's the ACTUAL Squirrel Nutkin," we scream at the toddler, suspending our own disbelief, as well as hers. On stage, the tail-less hero dips and twirls to the beat, a demonstration of sciurine dexterity that has so often frustrated Messrs Tod and McGregor. 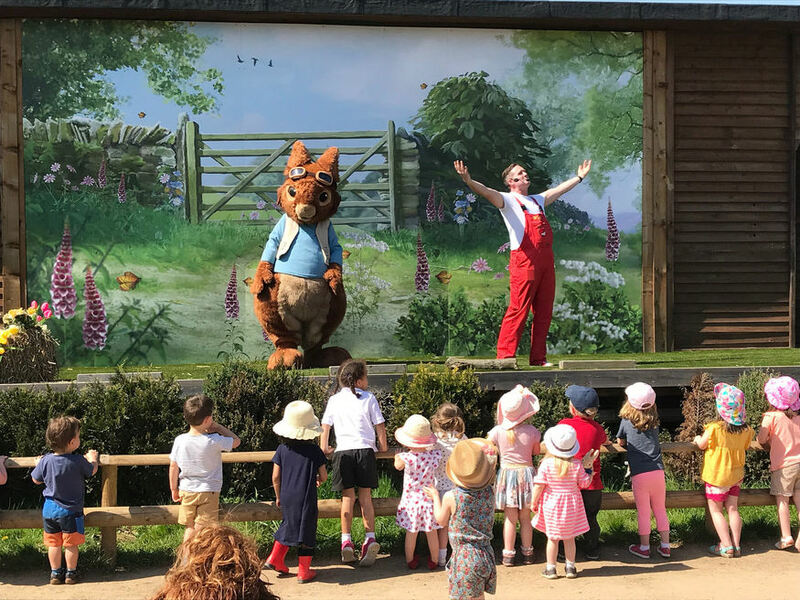 Rain or shine, Willows Activity Farm coaxes the characters of Peter Rabbit into strutting for the kids, who bounce around in front of the stage like demented popcorn. 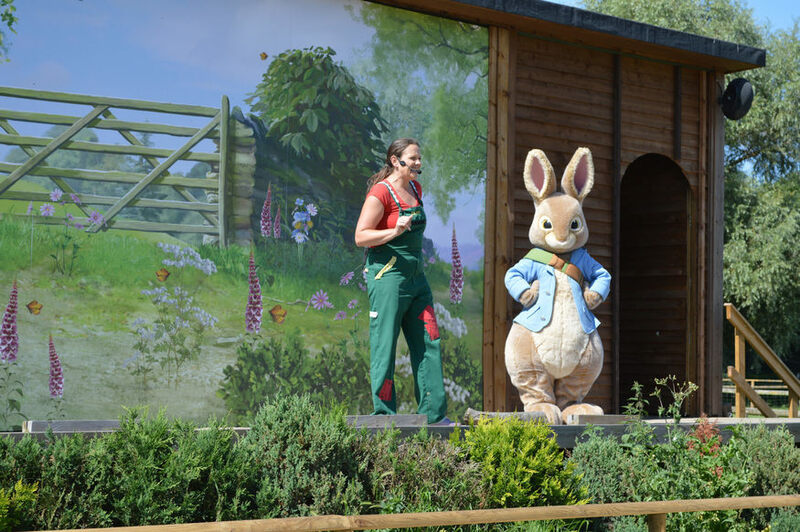 Elsewhere, the little-ones can burn off more energy (and steal giant radishes) in the Peter Rabbit playground, explore Mr Tod's lair, pose for photos with Peter and friends, or escape the sun/rain into Cottontail's Village — an indoor cluster of cottages filled with toys for younger children. Cottontail Village - basically a confusing mess of toys... which is brilliant. The northern stretch of the M25 should be called 'The Potters'. Junction 24 has Potters Bar, Junction 20 has Harry Potter at Leavesden, while Willows Activity Farm, a shrine to Beatrix Potter, is right next to Junction 22. Peter and his friends are everywhere, and without the cheesy 'run, rabbit, run' soft-rock that blights the CBeebies show, nor the 'allergy bullying' of the recent film. - A massive barn full of pedal and push diggers. - A singalong tractor ride, which goes through some prize-winning puddles. 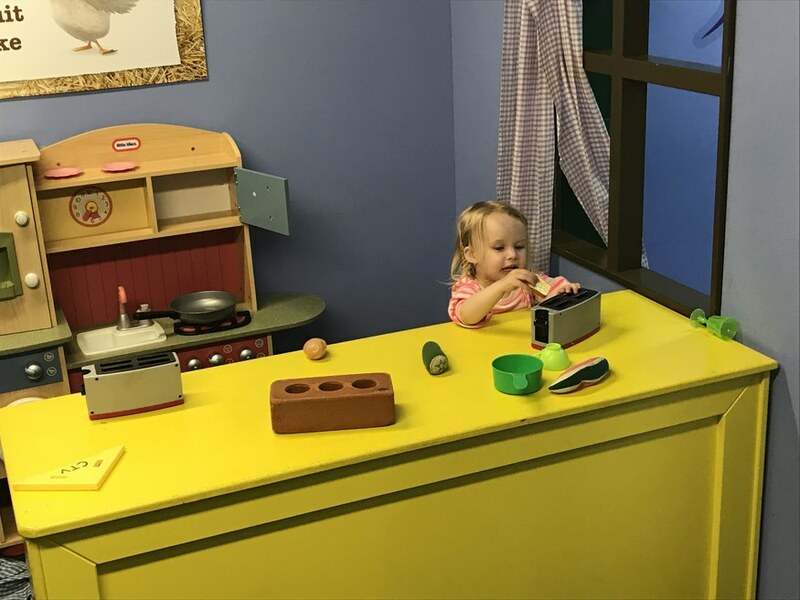 - The largest softplay area we've seen in one of these places, deftly coupled to a cafe. - A bloody good sand pit, with zero dog poo. - The usual mix of playgrounds, inflatables and fairground rides. - And, yes, it's a farm, so lots of animals. Now, the ticket price. Some might baulk at paying up to £19.50 for entry to a 'farm'. It isn't a cheap day out, even with an online discount and free entry for under-2s. However, you do get plenty of bang for your buck. There's heaps to do here — and much of it educational. You're unlikely to get round everything before the park closes or your children run out of steam. Indeed, we've visited twice now, and still haven't tried everything. If you've got kids + car, then 'Hop to it! ', or squirrel this away for the school holidays. 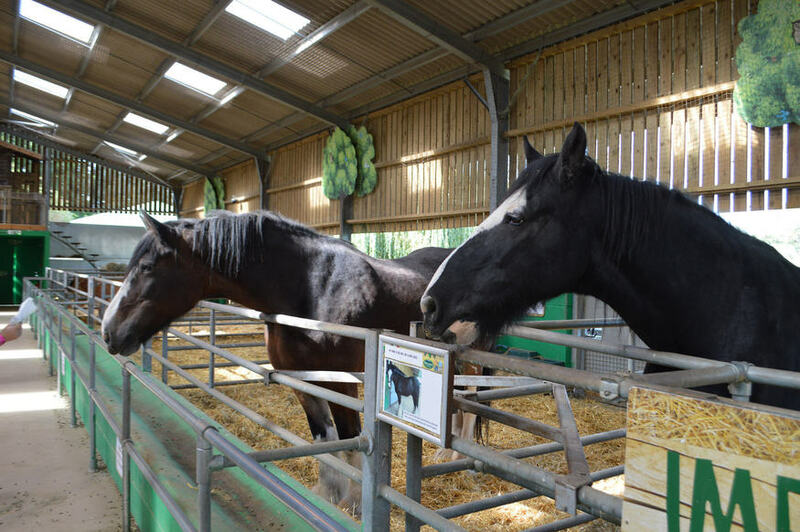 Willows Activity Farm is open every day, save a brief hiatus at Christmas and New Year. Find it next to Junction 22 of the M25, or a taxi ride from Potters Bar, St Albans or Borehamwood. We've got loads of ideas for stuff to do with kids, in and around London. Check our recent archive.